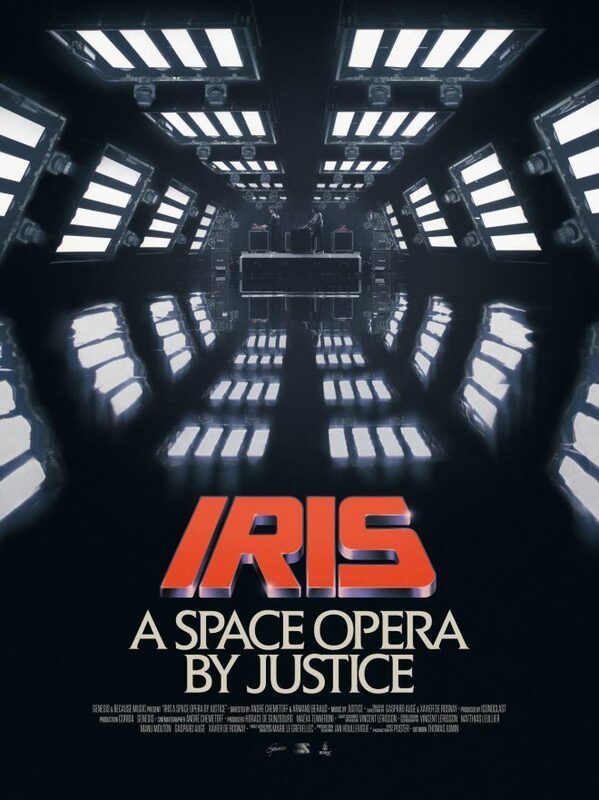 Justice has announced it will debut their space opera, ‘Iris‘ to the massive crowds at SXSW in Austin, TX this March. Following in the footsteps of Daft Punk, they hope to build on the success of their live show, ‘Woman Worldwide.’ This news comes as a pleasant surprise for fans of the French duo. Currently tearing up festivals and arenas the world over, they don’t show any signs of slowing down. Woman Worldwide (album originally released in 2016) is a mastery of production fused with Justice’s incredible catalog of dance floor hits. The preparation itself took almost a year before the live show’s debut last March in Colombia. Furthermore, Justice made stops at Ultra, Coachella, Lollapalooza, and dozens of other huge festivals along the way. Justice’s brilliance has provided them with unmatched longevity. Since 2003, they continue to grind out grueling tours and release a steady stream of quality music. The aforementioned ‘Woman’ is currently nominated for a the best dance album Grammy Award. As a result it is hard to see any other heights ‘Iris’ can help the group can ascend to. Luckily, fans won’t have to wait too long as SXSW is slated for a March 11th start. Don’t miss a chance to experience Justice’s ‘Iris’ at the pinnacle of live dance music production. Everything you need to know about SXSW is available here now! Next articleLife and Death x Sónar Comes to NYC!